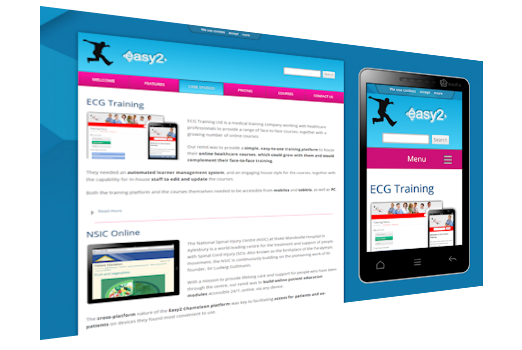 We have worked closely with ECG Training who specialise in the medical field particularly, to develop the platform to be as easy and flexible to use as possible for non-technical training delegates. 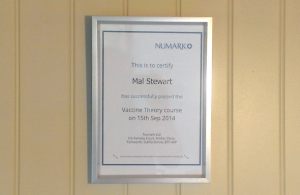 Sitting comfortably alongside their face-to-face training programmes, our online training solutions enable delegates to self-register, and carry out their training when and where it suits them. “The number of delegates registering on the system and doing the courses outside the working day is fascinating, and the analytics shows a high proportion of users are on mobiles and tablets” comments Paula Taylor, Head of Content and Training development for Big Media. Big Media are working with a number of exciting new partners and clients deploying online training solutions built on easy2.